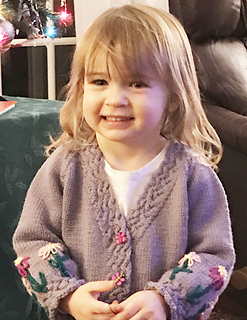 This charming young lady’s cardigan has a diagonal basket weave border around the bottom of the sweater that carries up the center front and finishes the back neck. The basket-weave is found around the cuff as well. 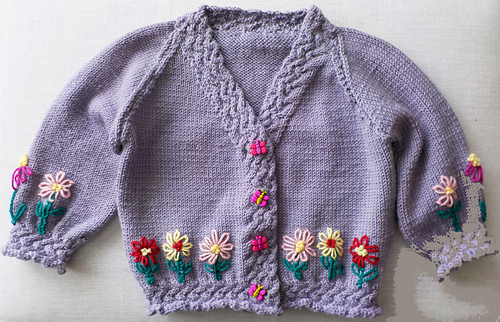 It closes butterfly buttons. 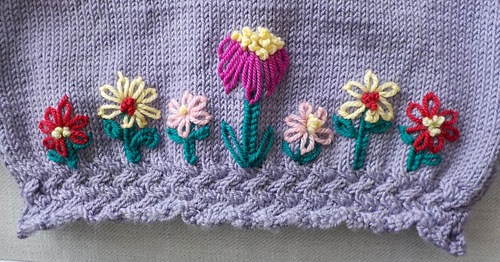 The butterflies were attracted to the simple daisy stitch flowers that adorn, the front, back and sleeves of this delightful garment. 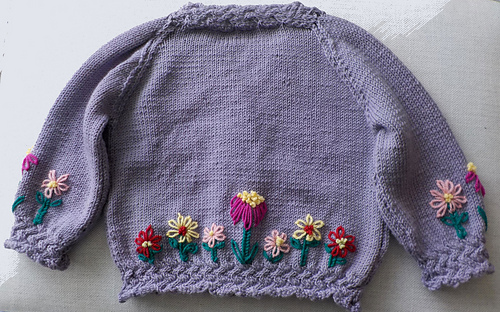 The Basket-weave Stitch, that is the theme of the Stitch Anatomy for the Fall 2017 copy of Cast-On was my inspiration for this sweater. 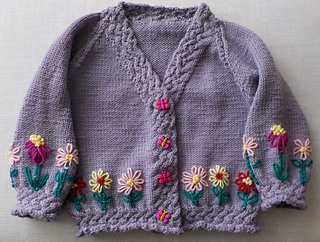 I wanted to have something that could be made by both Machine Knitters and Hand Knitters. The machine knit version can be found in the Fall 2017 Cast On magazine.